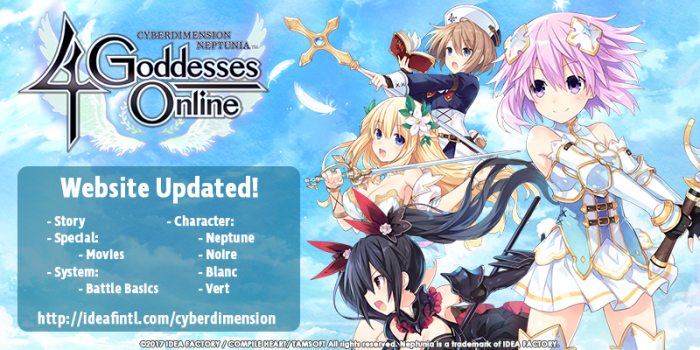 The website for Cyberdimension Neptunia: 4 Goddesses Online has been updated–and you’re invited to log in! Preview the upcoming action and read up on your lore with new info on the story, battle basics, and the opening trailer! Don’t forget to check out the character profiles on Neptune, Noire, Blanc, and Vert!